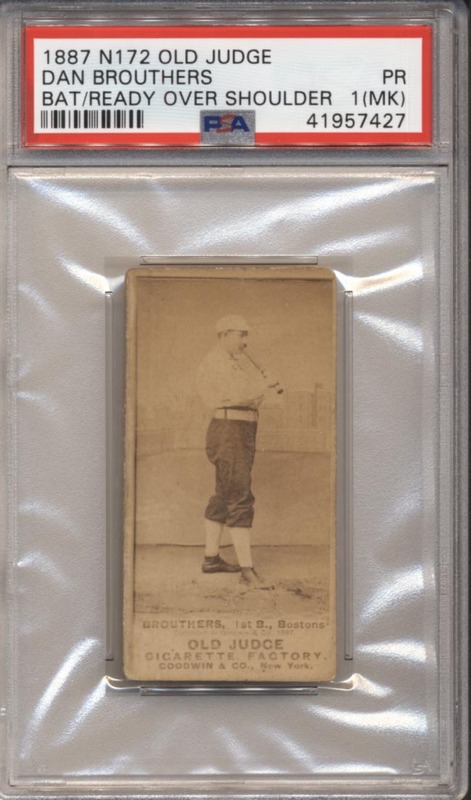 Quality card of this feared 19th century slugger, the front offers a clean image and solid eye appeal. There is hardly any creasing on the front, the back has a stray mark and shows evidence of typical scrapbook removal. This is a very nice looking card for the grade.